March 1942: In their fast expansion throughout the Pacific and South Asia the Japanese Army and Navy advanced until they threatened Australia and its communication link to the United States. The campaign to cut the communication link was intended to simultaneously attack on two fronts: Papua/New Guinea and the Solomon Islands. In both, the combination of air, ground and naval forces was needed. The use of air power and naval forces was essential for the amphibious deployment and resupply of ground troops. Japanese High Command faced a dilemma as it divided its forces and resources between both fronts. 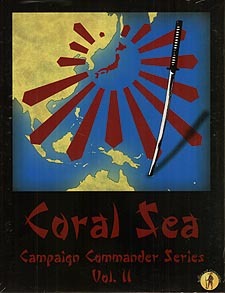 In the beginning, the campaign was opposed by light allied resistance and the Japanese troops moved quickly through the Solomon Islands, and the north coast of Papua. The naval attempt to drive towards Port Moresby was frustrated by the air-naval battle of the Coral Sea (7-8th of May, 1942). During this battle ships from either side never engaged directly. The only Japanese aircraft carrier in the battle, the Shoho was sunk by US naval air forces launched from their own aircraft carriers and the Japanese amphibious invasion force retreated towards their base at Rabaul. The Japanese would try to attack again. This time they attempted crossing the central Owen Stanley mountain range of New Guinea, among the highest on the planet. Reinforcements arrived from Australia, and New Caledonia, and the allied forces launched a counter-offensive on both fronts that lasted six months. Disease and weather were more lethal during this campaign than enemy weapons. After many hard-fought battles the Japanese air and naval offensive through the South Seas was defeated and the initiative for the war ended up in allied hands. Allied air superiority became telling as was proved at the Battle of the Bismarck Sea (2-4th March, 1943). Play the turning point Campaign in the South Pacific in just 3-4 hours. The Japanese threaten to conquer Papua, New Guinea and the Solomon Islands, as the Australians and American forces launch their counter offensive. Players must manage their resources in order to be able to attack effectively. Victory is obtained by occupying key locations, and eliminating your opponent's armed forces.